Featuring a broad, single edged blade with a wide belly, the Wooden Chinese Saber Sword is an excellent choice for martial arts training, cosplay events, or theatrical use. 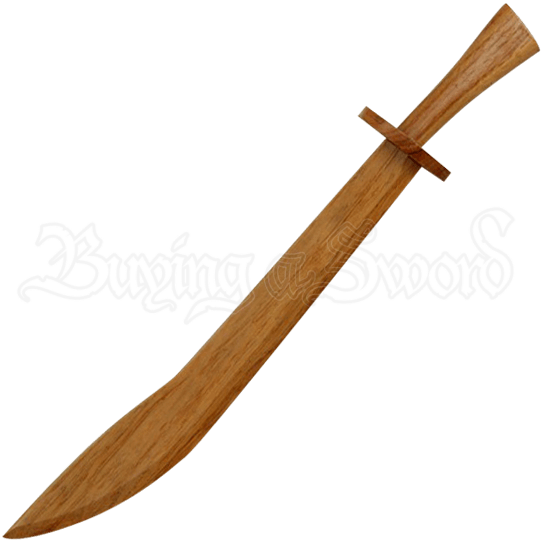 This wooden sword is a great practice blade for all ages. The hilt of this sparring sword widens as it moves away from the disc guard, which provides a secure grip. Displaying a natural woodgrain finish, this wooden practice sword is suitable for painting or embellishing to suit your personal style. 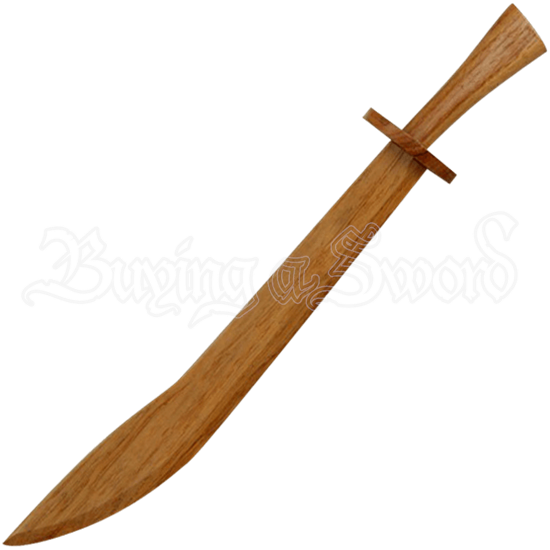 A safe and effective sword for perfecting your martial arts routines, this Wooden Chinese Saber Sword is inspired by blades favored by the Chinese cavalry for its sturdiness and ease of use.